Are you an artist or crafter who enjoys sharing your work with others? Do you have a signature style and a process that you feel is unique to you? Do you think others would be interested in learning how to try your methods for themselves? 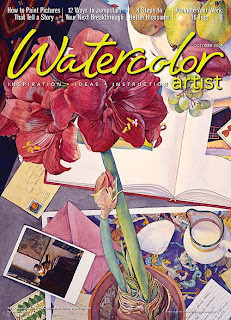 There are many wonderful magazines that are published for artists of all types. They are always on the lookout for new stories, fresh tutorials, and our best artwork to display in their pages. If you feel you have something informative, inspiring or just plain useful to share, or, if you just would like to see your best work in print, it is worthwhile to consider researching. You've got nothing to lose by submitting to a magazine that fits your focus. Many magazines have submission guidelines right on their web sites. And you do not even have to buy a single issue - flip through several issues of the periodicals you wish to submit to in your local B & N, Borders, arts/crafts store or library. It's important to learn what the magazines' goals are and who their target audience is, whether you feel like you are on the 'same page' with the magazine's personality and content, before submitting. Getting published in a magazines is a great way to get your work in front of a whole lot of eyeballs, too. Doing so can help you to gain credibility in print as a 'master of your medium'...or, at least of being someone who is skilled at it and can discuss it at length intellectually. You can also connect with a whole new-to-you specific audience. Last but certainly not least, sharing good "creative karma" with others is truly it's own reward! 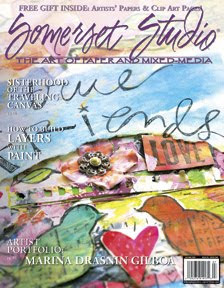 What ever your medium is - jewelry, bead-making, crocheting or knitting, sewing or the like, there are magazines out there looking to feature the work of artists just like you. So get busy! Excellent blog, Kathy! I appreciate your insight and inspiration.